Really: Do I Really Need Jesus? Jesus didn’t present himself as one of many options for a good and meaningful life. He presented himself as the only option for a life that’s as good and meaningful as it was meant to be, and the only hope for life beyond the grave. *Christ’s Church is a strategic partner of Grace Chapel in Lexington, MA and features the teaching of Pastor Bryan Wilkerson and the Grace Chapel Teaching Team. Really: Is Jesus Good for the World? Matthew 4. This message explores many of the ways Jesus is REALLY good for the world. But the way Jesus wants to change the world is not by force, but by invitation…Jesus will never be as good as he could be for the world when his followers remain unwilling to change. *Christ’s Church is a strategic partner of Grace Chapel in Lexington, MA and features the teaching of Pastor Bryan Wilkerson and the Grace Chapel Teaching Team. No matter how long you’ve been following Jesus, there’s always more to discover. *Christ’s Church is a strategic partner of Grace Chapel in Lexington, MA and features the teaching of Pastor Bryan Wilkerson and the Grace Chapel Teaching Team. Really: The Legend of Jesus? Guest speaker Tim Ghali begins our new series, Really?!? 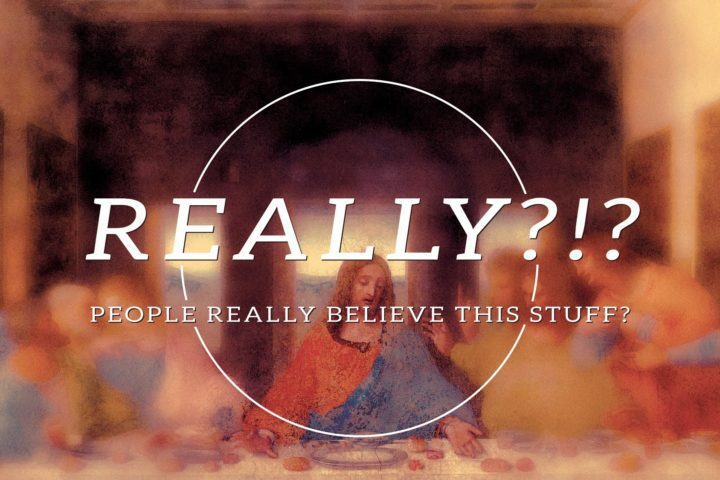 In this message Tim explores our doubts and tensions concerning the historicity of Jesus. We ask if the story of Jesus, as people like Bill Maher would have us believe, is a plagiarized legend taken from other ancient near east cultures… *Christ’s Church is a strategic partner of Grace Chapel in Lexington, MA and features the teaching of Pastor Bryan Wilkerson and the Grace Chapel Teaching Team.